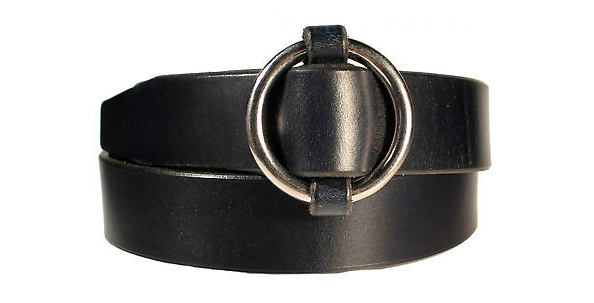 The slip cinch is our answer to the bulky, double-ring cinch ring belt. Handmade from start to finish, this unique style is easy to fasten. Available in three buckle sizes to fit a 1", 1 ¼ " or a 1 ½" leather strap, this versatile belt goes from dress belt to a more rugged look depending on the width. Subjected to many of the same artisanal steps as our signature hoof pick belt, our slip cinch belt is made of the same vegetable-tanned English bridle leather and solid brass or nickel plated brass hardware promising years of stylish use. Its ease of adjustability comes in particularly handy around the holidays.